[PDF] French Inventions of the Eighteenth Century [French] | Free eBooks Download - EBOOKEE! Description: The eighteenth century, age of France's leadership in Western civilization, was also the most flourishing period of French inventive genius. Generally obscured by England's great industrial development are the contributions France made in the invention of the balloon, paper-making machines, the steamboat, the semaphore telegraph, gas illumination, the silk loom, the threshing machine, the fountain pen, and even the common graphite pencil. 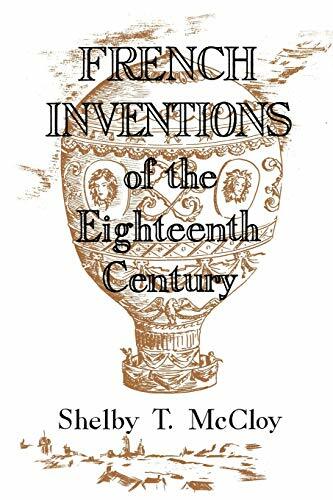 Shelby T. McCloy believes that these and many other inventions which have greatly influenced technological progress made prerevolutionary France the rival, if not the leader, of England. In his book McCloy analyzes the factors that led to France's inventive activity in the eighteenth century. He also advances reasons for France's failure to profit from her inventive prowess at a time when England's inventions were being put to immediate and practical use. 2013-01-18Myers, Mary L., "French Architectural and Ornament Drawings of the Eighteenth Century"
No comments for "[PDF] French Inventions of the Eighteenth Century [French]".